Gods Own Junkyard- Not the Typical Tourist Trap • Tips, Trends & News in 60 Seconds or Less! When visiting London, it’s easy to fall into the usual routine of visiting Big Ben, Buckingham Palace, Covent Garden, and other tourist laden attractions. However, living in this beautiful city gave me a totally unique perspective unmatched from just visiting. I was able to discover hidden nooks of London that would not typically be featured in standard itinerary. One of my favorite finds was this funky warehouse called God’s Own Junkyard. To get there, you must take the tube far away by London standards, all the way into Zone 4. For context, the majority of the most popular tourist destinations are in Zone 1. So, you really feel like you’re in a whole new world once you arrive in this distant land. Be mindful that this venue is ONLY open on the weekends. It’s too much of a trek to make that mistake. 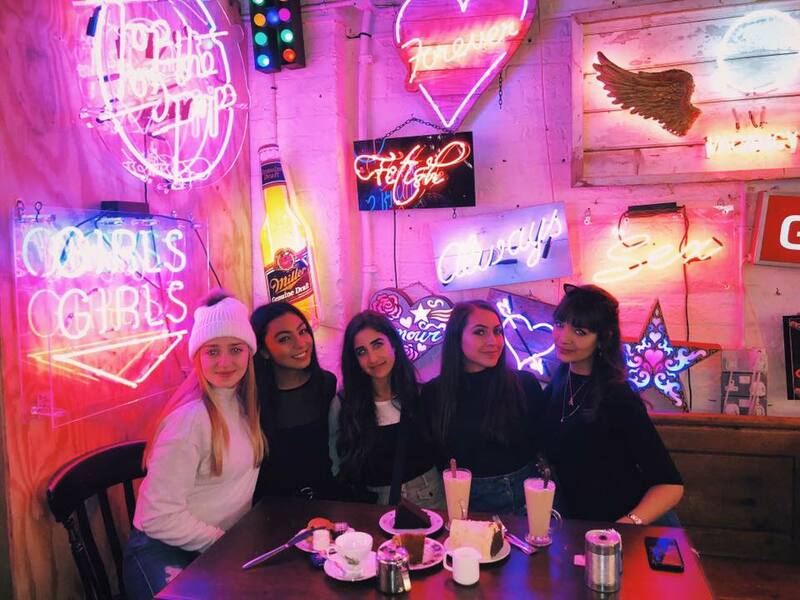 Once it’s the appropriate day make sure you come by to get some amazing Insta photos and cake. After you push your way off of the train and arrive at what your Google Maps declares as your destination, you may be confused. The nondescript building is located in a strange back alley of residential homes. But don’t lose hope! Open the door and be amazed by the largest collection of fluorescent objects and lights you’ve probably ever seen. God’s Own Junkyard is a collection of new and used movie props, signs, and displays created by Chris Bracey. Your eyes aren’t the only thing in for a treat, however. 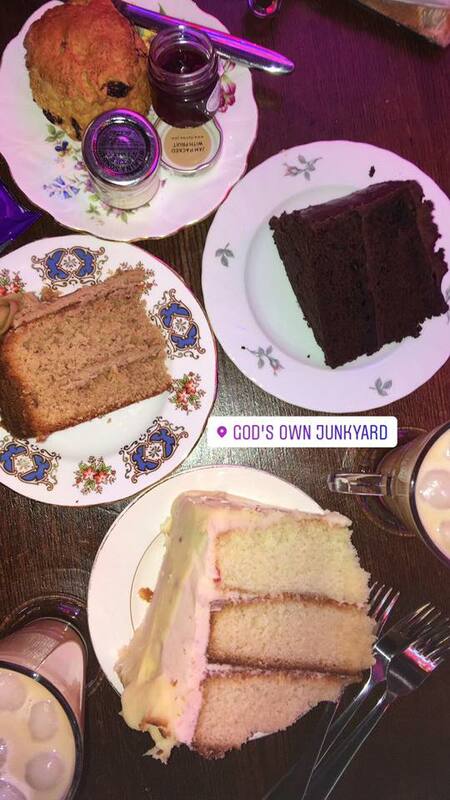 The Junkyard has a café that offers a variety of incredible cakes. Obviously, we had to try them all. Plus, a scone because when in London, right?